Keeping up with the latest fashion styles will guarantee your wardrobe stays fresh and exciting. But with these trends changing just about every season, they can be hard to track. Here, with my tall women's fashion style guide, I will help you stay on top of the current runway looks and choose tall outfit combos that will follow these popular crazes. So, get excited to try out something new. And, most importantly, have fun with it! It's mid-summer now and things have really heated up here in Texas...to the tune of 102 degrees! And that temp isn't going lower any time soon. It's hot, but I actually love it. This is my favorite season of the year. Pools, vacations, ice cream = LOVE! Spring is right around the corner. Or, if you live in Texas like I do, it looks as if it's already here! Warmer weather, sun shining, flowers popping up...all signs that winter is on its way out and the seasons are changing. What's another sign? 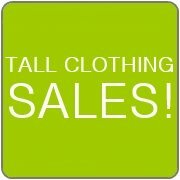 Retailers' new spring clothing lines! They are already making their way onto the online racks and I'm seeing some fun, chic styles to fall in love with for 2016. 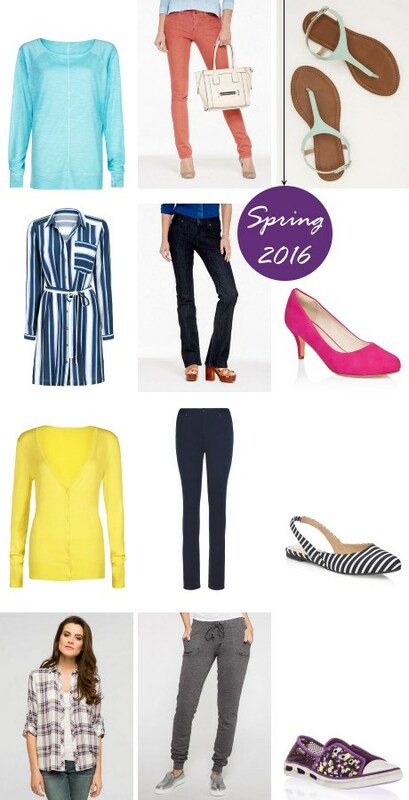 Just take a look at a few of your springtime options below. White is a staple of summer. It's a cool, refreshing color that helps your skin tone pop. White reminds me of being at the beach which is why it's one of my favorite shades to wear this time of the year. I'll be going on vacation soon and my bags will definitely include a few white pieces to compliment my overall destination look. You may need a little extra sunscreen, but let those shoulders show! Tanks, spaghetti strap tops and dresses, and tube top styles are the look you're going for here. Nothing says summer like baring some skin! Add a little flow to your style for the summer. 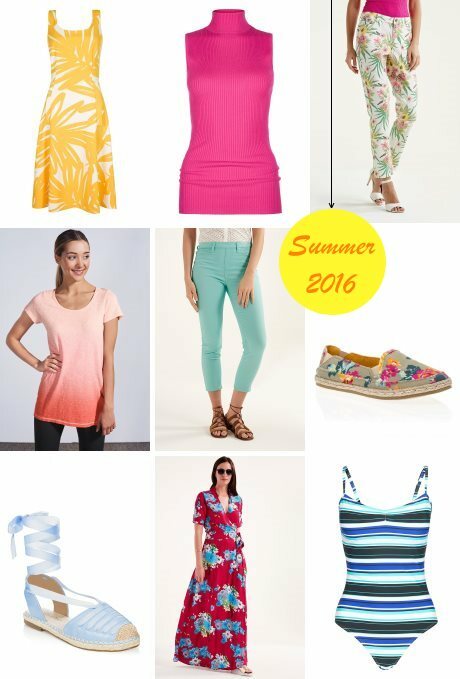 Flowy fashions can add more of a casual flair that are perfect for vacation outfits. I like longer tunics that flow at the bottom as well as dresses and skirts. And finally, for one of my favorite summer-time essentials...flip flops. I can't get enough of them! They just scream summer, and I love summer. The great thing about flip flops is that they can be fairly inexpensive which means you can get several pair for all sorts of different occasions. The flip flops I picked out above come in the larger sizes many tall women need. Floral patterns are typically considered to be delicate and dainty. But, not this season. The flowers that are now taking over the runways have more power. They are bigger and, at times, bolder than the florals of the past. Of course, that's not to say that they aren't still pretty and feminine. That's why we love them! Incorporating flowers into your wardrobe is easy. You can either play it up big, for example, by wearing a maxi dress with an all-over floral pattern or tone it down a bit by wearing flowers only on your top or bottom half. Or, for a very subtle floral addition, just use them in your accessories. Wearing all-white from head to toe may not be the most practical wardrobe if you're prone to stains, but it's a beautiful look for the warmer weather months. It's clean, crisp, and modern. You can add some interest to an all-white look by mixing in some textures or subtle patterns. Faint colors such as peach and pale blue can also be added while still keeping your outfit in the all-white category. For more tips on how to dress your height in this cool, refreshing color, click here. It's a 70's revival as similar styles from the retro decade are popping up all over the place. Think crazy patterns, bold colors, striking embellishments, flare bottoms, suede materials, chiffons, and fringe details. It's almost a free-for-all type mindset. The silhouettes are still 70's-like...more flowy and loose...but with a modernized cut. The outfit above showcases a great 70's style updated for today's fashion style. You've got the long fringe trim on the dress and purse as well as the vivid colors and unusual pattern. Throw in a big floppy hat and gold cuff bracelet and your retro blast-from-the-past ensemble has you ready to boogie into the warm season! The athletic-inspired look has been around for the past few years and it'll be here for a while longer. 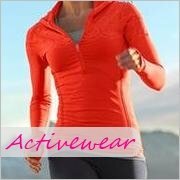 For this spring and summer you'll see a more feminine, chic flair to the sporty style. The key to doing sports luxe right is not to make it look like you're headed to the gym. Make it more subtle. Take a classy piece and add your sporty touches. 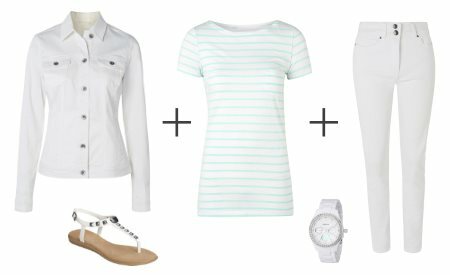 For example, pair a fashionable tunic-length blouse with leggings and tennis shoes such as in the outfit shown above. 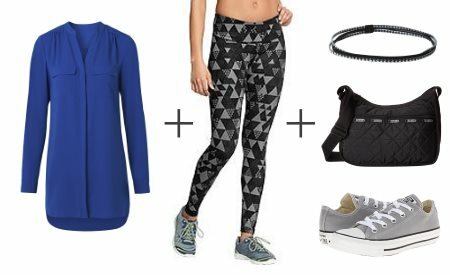 It's a super comfortable, super chic outfit that doesn't require you to have a gym membership! Black and white is a basic combo, and very classic as well as classy. You can't go wrong with these two opposite colors paired together. Use the combo as the foundation for your outfit and then add in some pops of colors with your accessories. 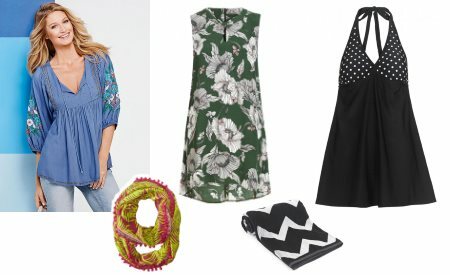 Try a popular infinity scarf with a touch of teal, which goes great with black and white. Then throw a matching teal handbag over your shoulder and you're set to go. Track pants, also known as joggers, are a trendy fashion style that will bring out your inner athlete. They offer a modernized slim fit, typically with a banded cuff on the bottom of the legs. If casual is your everyday go-to wardrobe, joggers are perfect. And, they can be played up or down for many different looks. Pair it with your favorite tee and sneakers, or fancy it up with a blouse and high heels. Track pants are super comfortable and high on versatility...the perfect combo! If you've been hesitant to try a jumpsuit, you may as well give it a go. It looks like this style is here to stay for a while. With fashion trending toward a simpler route these days, women are finding this easy-chic one-piece an appealing option. It's even becoming an attractive alternative to dresses. Jumpsuits have been around for a few seasons already, but have only recently made their debut in the tall world. I'm glad we can now join the craze! A bold-colored skinny jean works well paired with a comfortable graphic-print tee or tank top. 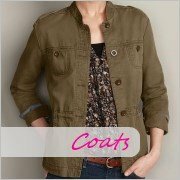 A denim jacket as a top layer is a trendy, yet practical, style that can be worn with many other outfits throughout the school year. A colored dolman-sleeve top would go perfectly under a pair of tall denim overalls for a look that's up-to-date. 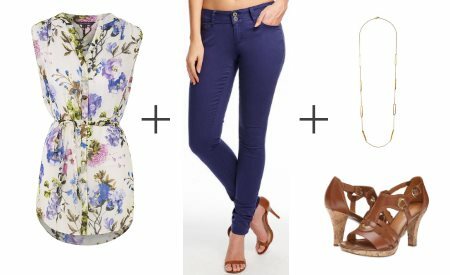 Complete this fashion style with a pair of earth-tone strappy wedge sandals. Throw on a varsity baseball jacket over a simple tank and add in a pair of popular skinny jeans for an easy school-ready outfit.